Inspire your inner explorer with the vast landscapes of the American west. 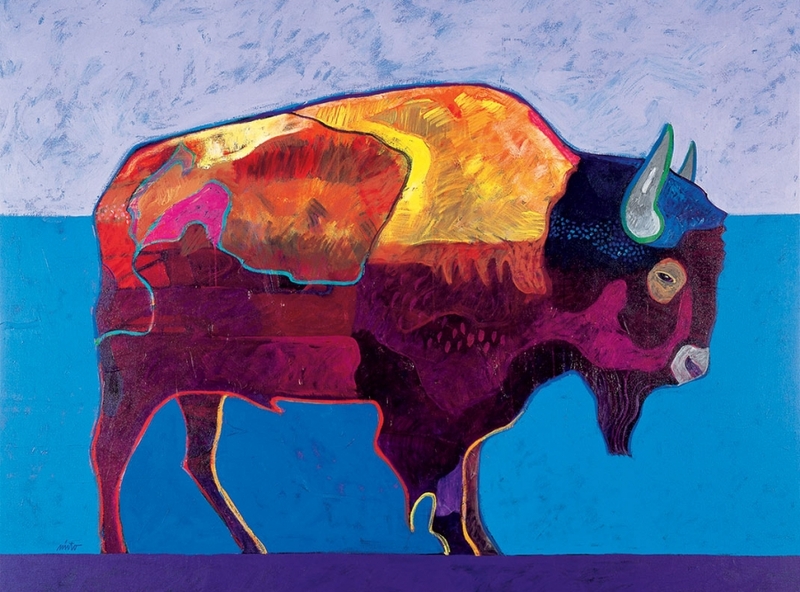 John Nieto (Native American | Apache, born 1936), Buffalo at Sunset, 1996. Acrylic, 48 × 60 inches. Tacoma Art Museum, Haub Family Collection, Gift of Erivan and Helga Haub, 2014.6.86.